Fadey Sargsyan dies at the age of 85. Advisor to the Prime Minister of Armenia Fadey Sargsyan died in the early hours of January 10, aged 86. Sargsyan (no relation to current PM Tigran Sargsyan or President Serzh Sargsyan), was a doctor of technical sciences, a member of the National Academy of Sciences of Armenia, a member of the International Academy of Informatics. In 1977, he was appointed Chairman of the Council of Ministers of the Armenian SSR (a status equivalent to prime minister) and occupied that post until the breakup of the Soviet Union in 1991. In 1995-1999, Sargsyan was a deputy of the National Assembly of Armenia. 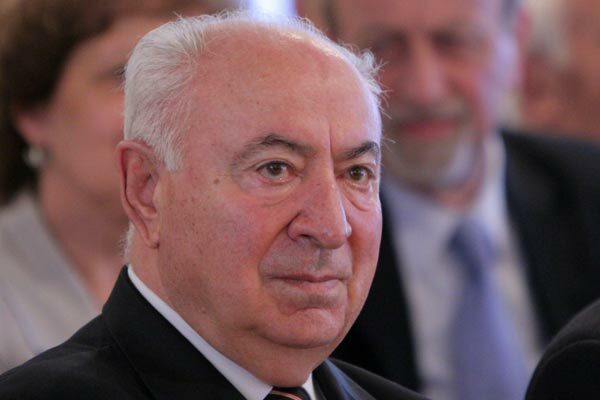 In April 2006, he resigned from the post of the President of the National Academy of Sciences that he had occupied since 1993, and was appointed advisor to the Prime Minister of Armenia. A government commission was due to be set up for the organization of Fadey Sargsyan’s funeral. Fadey Sargsyan is survived by his wife, daughter, two grandsons and one great grandson.